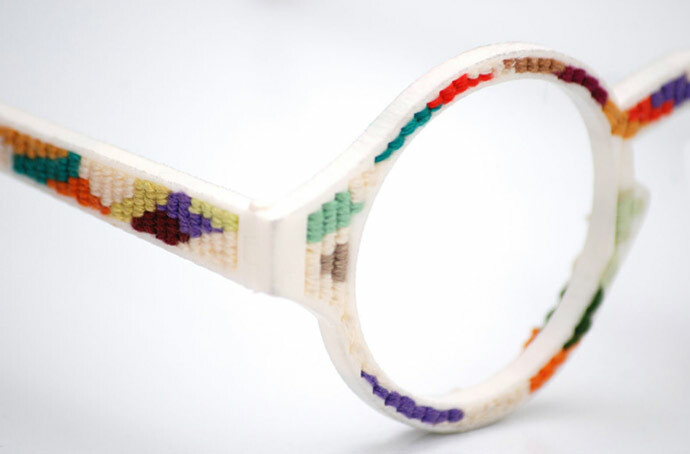 EWG was first to reveal the Colors of Birch collection of 3D printed glasses last year, but we're a few months behind on these cross-stitch spectacles. 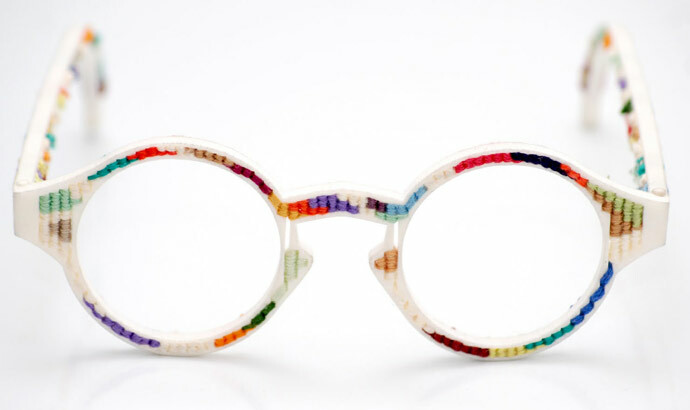 Nevertheless we're proud to feature the Tapestry Spectacle by Chloë McCormick and NODH, featured in the Send to Print / Print to Send exhibition in London in January. There's something rather cosy about these! i just saw this beautiful creation of glasses !! i was wondering if i could get it ? how ? Hey! 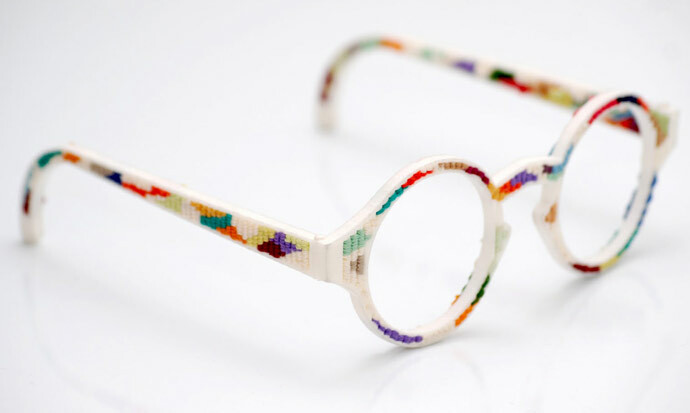 what a nice stitched Eyeframe~ not bad! really nice!! i like it! may I know where can I get the stock in Malaysia? ?